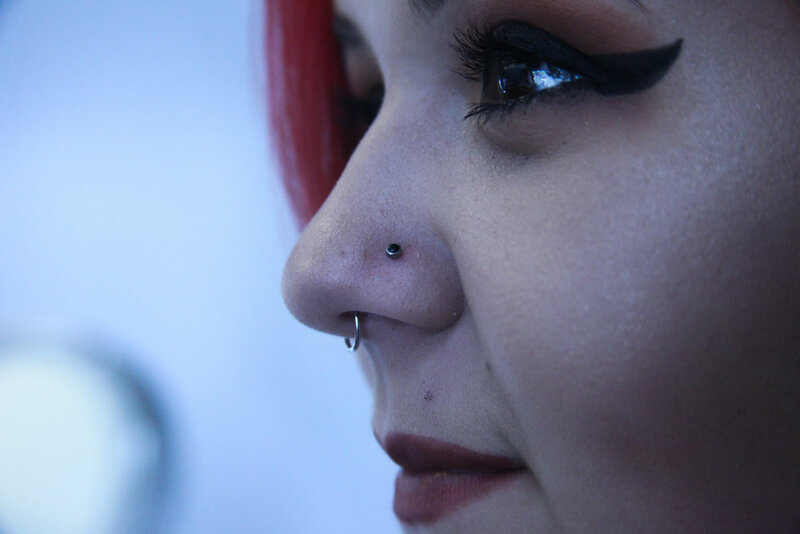 Nostril piercings are a classic piercing that have been visible in pop culture since the 1990's. There is a wide variety of jewelry that can be worn in this piercing, depending on personal aesthetics. This piercing is started with a stud, and we recommend waiting a minimum of 4 months before attempting to switch to a ring. Full healing time can range from 6 to 9 months.